Bossons Boatman Chalkware Head - Vintage Seafaring Bossons! Vintage Bossons chalkware Boatman head. 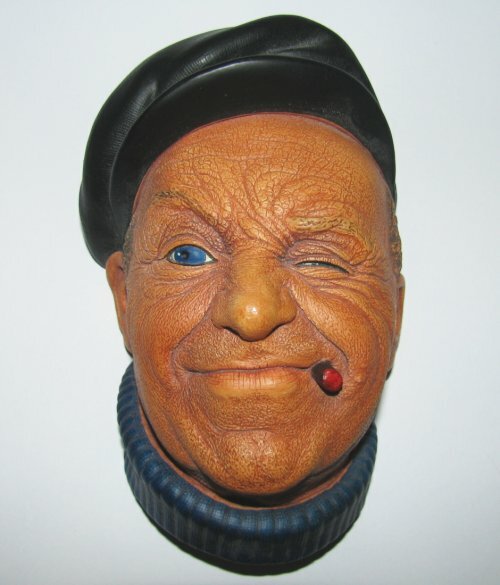 A WONDERFUL Bossons character wall mask from 1967. Just over 5 inches high and 3 inches across. The head appears to be in excellent condition. There are no evident chips or flakes.